How is composing music of a given meter similar to painting flowing water? 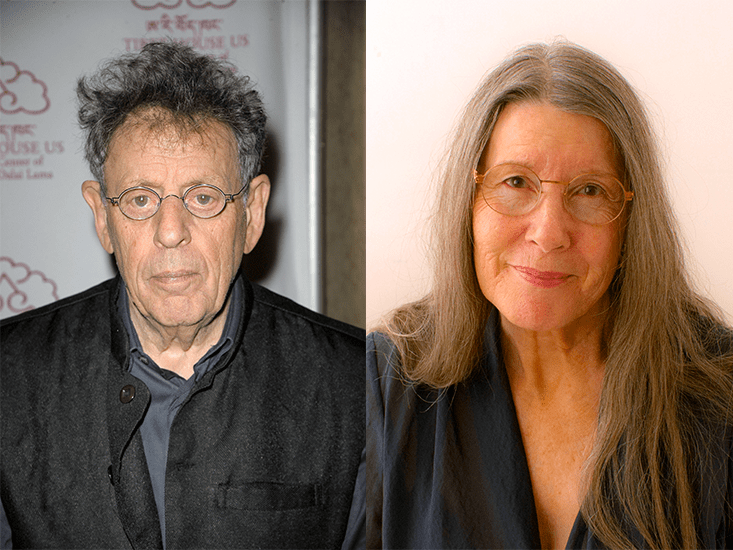 In this conversation between the composer and musician Philip Glass and the painter Fredericka Foster, two artists set out to tackle this question, before flowing into questions of memory, physics, and death. Glass and Foster met in the late 1990s through their mutual interest in Buddhism. They shared a teacher, Gelek Rimpoche, and attended yearly meditation retreats together in Ann Arbor, Michigan. When I invited them to have a conversation about time, they both responded with great interest and curiosity. How better to reflect, they said, on a decades-long relationship that had been sparked by Buddhist teachings and strengthened by a mutual artistic admiration? Getting them together was less easy. Glass was traveling in Europe, while Foster was in Seattle. So we recorded a telephone conversation, transcribed it, then recorded a second conversation to fill in the gaps. In a way, the resulting dialogue between the two artists—their first formal collaboration—is informed by its own distortions of time and space. Time had given a genuine novelty to Glass’ performance of an old piece. I expect it will do the same years from now, when two old friends reread their conversation on an ageless topic. Fredericka Foster: Your entire life in music has been about time. I remember you saying that the way you were finally able to score Ravi Shankar’s music was to remove the bars—that allowed every single note to have the same value, and that changed your sense of musical time. Philip Glass: There are many strange things about music and time. When I’m on a tour with the dance company we work in a different-sized theater every night. The first thing the dance company does when we arrive is to measure the stage. They have to reset the dance to fit that stage. So you also have to reset the time of the music: In a larger theater, you must play slower. In a smaller theater, you have to play faster. The relation of time and space in music is dynamic. I have a range of speed in mind. If the players don’t pay attention to that, it will look really funny. You can see the stage fill up with dancers because they are playing at the wrong speed. FF: I understand that variability. I usually paint water. Watching water move is a time-honored way of moving into the present moment. 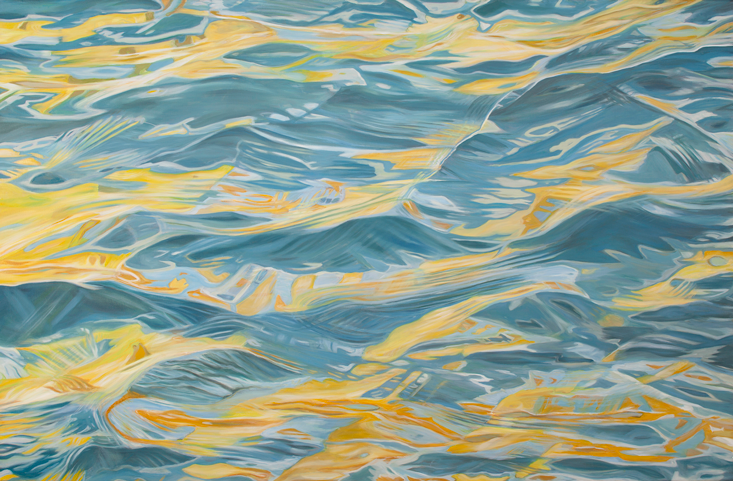 My goal is to feel the water move in the painting, but water has rules, and I have to pay attention to motion in establishing the composition. Water is defined by time: the length of time it takes for a wave to pass a set point. At around a second, you have a ripple; over 10 seconds, a swell, and in between a wave. Once I get the composition down, I can begin to pay attention to the rhythm of the painting. I put on music (for example, your Satyagraha) and enter into a dance with the painting, changing the composition to exaggerate the rhythm. Time disappears. I become a verb, seeing, painting. That time cannot be measured. With this kind of focused attention, time has no boundaries. That’s the kind of time you find in love, in creativity, in the life of the spirit, the kind of time I live for.